Looking at the 2019 Appropriation Bill that the executive laid before members if the National Assembly last December, do you think it has the capacity to lift the country out of it present economic challenges? The 2019 budget is an N8.8 trillion budget, down from the N9.1 trillion budgeted in 2018. In 2017, we had budgeted N7.6 trillion. But what we have observed over the last two years is that the federal government in terms of actual performance is only managing to get about N6.5 trillion in their budget. So, if you look at the actual expenditure for 2017, it was N6.45 trillion, in 2018, it was N6.5 trillion and we estimated it will be about N6.5 trillion in 2019. So, they are really getting to a limiting level which is constrained by a number of variables. It is constrained on one hand by their revenue capacity and also constrained on the other hand by their capacity to borrow. That is because the budget is funded by the combination of revenue and borrowing. So, because of that constrain, you will see that the 2019 budget will also suffer same limitations of the previous two years. Without the election distraction, I think they would to around N6.5 trillion total expenditure. But, with the election distraction, it would be a miracle if they get to N6.5 trillion. So, I suppose that underpinning that budget is always the issue of what part of the budget impacts on majority of Nigerians. Unfortunately for this country, in the last three or four years, if you look at the details of the budget, you will find that the recurrent expenditure of the government is in excess of the total revenue of the government. That we are spending more monies on maintaining civil servants, paying salaries and overhead cost, than we actually have. So, the rest of the budget that you see, whether it is capital expenditure, is borrowing. So, by the time you borrow more money to build roads and bridges, we would be incurring additional interest expenditure and then we come back to the issue of debt service. Debt service to revenue today is about 60 per cent. So, clearly, we need to sit down as a country and rejig the whole situation, because it is not sustainable. We also remember that there is also the agitation for the adjustment of the minimum wage to N30,000. But even if they would adjust the minimum wage, we think there are areas they can play with and if you move the official exchange rate from N305 to a dollar to N360 to a dollar, that might throw in enough cash into the system. But there is also the escalator issue because ones you go to minimum wage issue, it escalates all the way to the senior staff level. 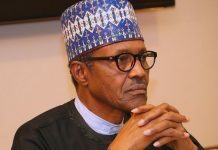 So, from the budget point of view, I think that they would struggle to get to the historical performance level of N6.5 trillion for 2019 and on that basis, we would say that without a major reform on the way the fiscal and monetary policies of this country is set up, there is not much in that budget for the average person. What are the ways the government can boost its revenue? Boosting revenue is not the problem alone, controlling cost has to be part of the solution. If I show you a slide that shows that historically, over the last three or four years, we have spent more money than we are earning, before we then try to make any investment. That, tells you that something is wrong. So, we need to find a way to reign in the cost. The country is running on a module that was designed in the sixties and seventies and we can’t use that module to deal with a world that has gone completely digital and where knowledge is really the most important value, rather than hoping to sell oil. So, I think without reforming key sectors of the economy. We looked at it from seven areas and three were considered to be hard issues – oil and gas, power and transport infrastructure – those are hard concrete issues you put on the ground. But the other four are around how you organise human beings. It encompasses education and healthcare. We don’t spend enough in this area and even what we have, we are not spending efficiently. There is need to boost competitiveness of our environment. The amount of bureaucracy and red tape is takes to get anything done is not encouraging. We certainly need to do more so that people can start their business and start going up, rather than when you want to set up a factory somewhere, the villagers would shake you down, the local government, church, mosque and the state would all shake you down, when you have not even started production. So, red tape need to go. You also look at our security architecture. If you have insecurity, it certainly does not encourage investment. There is also need to build stronger institutions. The challenge the Chief Justice of Nigeria is going through is certainly not being managed appropriately. Again, it appears there is a discriminatory approach to enforcing the anti-corruption fight because there are clear evidence of people who have done far worse things and are moving around freely in same government. So, these are issues we need to work around on. So, if we can reign in the cost while at same time try to boost income. And if you think about the oil and gas sector reform from the point of reigning in the cost. We estimated that last year we would have spent N930 billion in fuel subsidy and if you convert it at the parallel market rate, it is N1.6 trillion. Now, imagine that you are subsidising fuel for N1.6 trillion in a year. That subsidy element is going to the elites and you and I who are comfortably living in Abuja, Lagos, Port Harcourt, where we have majority of the cars. Now, they would go on the pulpit and sell it to the masses that subsidy is for them. But I am sorry, the subsidy for the guys that have one, two or three cars. In fact, the more cars you have, the more subsidy you enjoy. If you are sitting in a bus and going back and forth, you are getting 0.00001 per cent of that budget for subsidy. So, if we can reduce cost, that would be helpful. So, if you take a government entity that is not efficiently run and move it out to the private sector and tax the companies that come out of that, you will make more monies. These are the things we need to think about because as we are getting more and more poor people, we had 86 million at the last count, and if our population is growing faster than our Gross Domestic Product (GDP) growth rate, then every year we are increasing the number of poor people. If we maintain the same status quo, by the time the new government spends another four years, it could get to 96 million poor people and that is not a sustainable situation. What is your take on the decision by the federal government to continue to delay the signing of the African Continental Free Trade Area (AfCFTA)? So, it is a two-edged sword. You can’t leave the fire that is burning in your house and go and put off the fire that is burning in your neighbour’s house. I talked about reforming our internal competiveness. So, if Nigeria has not taken enough steps to boost competitiveness internally, then it may be somewhat foolish to go ahead and open up the country so that more competitive and more efficient economies around you would be able to move goods more efficiently. That is the constraining effect of the AfCFTA regulation. While it is well intended, it cannot go without a deliberate effort to make sure that all our rules, processes and procedures can match and compare with what, let’s say Rwanda can do. In Rwanda, you can open a company in 24 hours and get all the papers and approvals done. Now, compare that with Nigeria. Now, if you see a country with a couple of million people as their population and you can trade freely with them, then someone can go straight to Kigali, incorporate a company that owns a business that is running in Abuja. So, they can produce everything in Rwanda and they can sell it efficiently into your country. So, these are some of the areas we need to consider because they would see us (Nigeria) as a big market with 200 million people to sell things to. So, I think that is the constrain the authorities face. But I think we should consider having a time frame to sign the agreement and an implementation time line to change our internal structure in terms of our competitiveness, compared to other markets in the continent. What is your outlook for the banking sector in 2019, especially as we look forward to more banks releasing their full year 2018 results? As the results are coming out, we expect that banks which are barometer of the economy would naturally do well. We have seen that the full year GDP for 2018 ended at 1.93 per cent, but in that space we saw a lot of government borrowing, both domestically and internationally and also tried to find creative ways to maintain the size of the external reserves. So, in that structure, many banks, particular the tier 1 banks who have the deep balance sheet would certainly do well. So, I would not be surprised to see double-digit growth rate in terms of earnings and profit from some of the bigger banks. A couple of the tier 2 banks may sort of still be sideways. We have some of the challenges that Diamond Bank had faced which led to its business combination with Access Bank. There are still a number of banks that I feel are also in the waiting house, waiting to face the public. That is, those I call the AMCON babies, which is Polaris Bank. 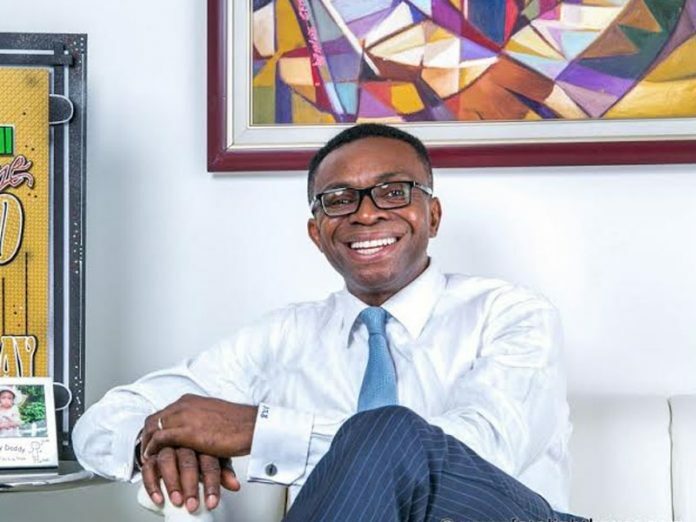 Keystone Bank has been sold recently, but it still needs to be stabilised and there have been talks about challenges with some of the smaller banks. So, what we saw from the banks as at their 9-month results, we saw that from their income line that some of the double-digit growth we saw in 2017, is already giving way. Some of the banks are still having challenges with their loan books. There are still critical sectors that are pressured. The oil and gas is part of it, the legacy debts in the power sector and the major aspect of it is general commerce for some of the tier 2 banks and some tier 1 banks. So, generally speaking, the tier 1 banks are expected to post impressive results by the time they release their full year numbers. The merger between Diamond Bank and Access Bank was unexpected. The market didn’t anticipate that the biggest tier 2 bank and an equally big tier 1 bank would come together. And we may equally see more of this because that has set the tone for merger to happen within the industry. So, earnings would be stable in 2019. The unaudited results released by most of the banks for the first, second and third quarter showed a drop in their loan portfolio, may have effect their interest income. What is the implication for this and how does it affect your outlook for the sector? For most of the banks, essentially, what they did in 2018 was that they tried to be cautious in 2016 was a bad year for some banks, not necessarily in terms of earnings, but in terms of the quality of assets that they were carrying. There was exchange rate depreciation or devaluation as it were. And what it translated into for some of the banks, depending on the quantum of foreign currency assets they were carrying, some were able to post impressive income. But it didn’t take out the quality of assets they were carrying in their books. So, what some of the banks had to do, coming into 2018, was that they identified need sectors they could lend to. 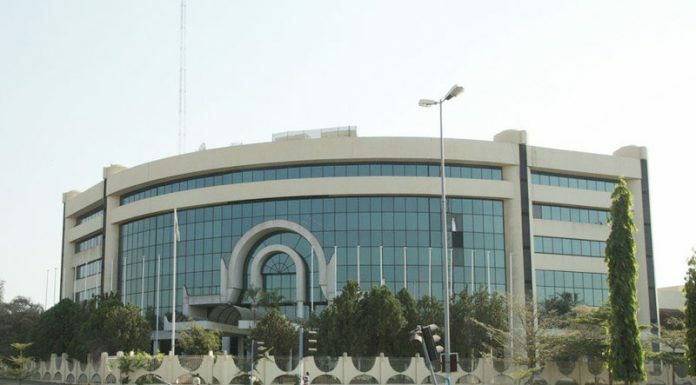 The juicy ones, they go their hands burnt in them – power, which most of them thought was going to be a good one, didn’t turn out quite well, telecom sector was another area that they considered and we all saw what happened to the consortium of banks that lent to the defunct Etisalat, which is still an issue. So, most of the banks just took a position. Some even had flattish growth in terms of loan. It didn’t mean that they were not lending, but it was not significant when you look at the overall picture of their loan book. Now, in the second half of 2018, we saw that we had higher yield in the fixed income market. Let’s think about this, if a bank lends or places money with the Central Bank by either buying open market operations (OMO) bills or treasury bills, you are getting a discount rate of 15 per cent, which translates to an effective yield of about 17.5 per cent and it is tax deductible. By the time you factor in the tax element into it, you are having almost a risk-free rate of 19 to 20 per cent. But, if you give a loan to any customer, it comes with its attendant risk. In fact, when they are computing the liquidity ratio for the bank, the entire value is taken out and it doesn’t count for your liquidity. So, you can enjoy a risk-free interest rate that is as high as 20 per cent, whilst you are battling with the legacy issues that you have. I think that was what played out majorly in 2018. And if the banks are in there to do the real business of banking and to add value to their shareholders, we wouldn’t see anything wrong in that strategy. The overall picture is that the risk profile of the general investment environment is rising. There are still other regulatory costs that the banks are bearing – the cash reserve requirement (CRR) is 22.5 per cent, which is official, because effective CRR can be as high as 30 per cent, depending on what the regulator brings. These are some of the issues that the banks are contending with. Banks actually want to lend because it opens more opportunity for them to earn more income. But they would rather not create those loans that would eventually add problem to their balance sheet. What do you think about the Brexit and what are the likely impact on the Nigerian economy? If you observe, you will see that global growth was flat in 2018 and the projection in 2019 is 3.7 per cent. When you actually look at the developed economies, global growth is actually coming up. We think the drama that unfolded as a result of Brexit was unfortunate and that was the circumstance the British people pushed themselves into. But generally speaking, that uncertainty is part of what has contributed to the flattish growth in the developed markets. British economy is important for us and I think the overarching one is the United States and China trade tension and the overall protectionist approach of most of the developed countries because of the US actions. When you say America first, then obviously, China would try to do China and Russia will do the same thing, which would definitely have a negative effect on global trade.